Don’t worry this hasn’t become a Craigslisting. Today after dropping 2/3 of my kids at their grade school, I saw it… something that makes my heart long and my mind relive memories of my youth and freedom. Yep I saw an older Camaro. It was white. Not the classic cherry red that I had at 16. But once my eyes saw it my mind had already given it a paint job and it was just like mine. Oh how that car illustrates a different time of my life. Unattached, naive, untouchable. It also makes me think of exhilaration, freedom and speakers. My Dad got the Camaro for my Mom. She drove it for a few years as she went on home visits for Parents As Teachers. Then when I turned 15 1/2, I learned how to drive a stick shift instead of a manual, so I would be ready for the Camaro. I was determined to learn how to drive that car. I begged to practice all the time. Luckily living in the country gave me ample practice to drive us to “town” or to the “city”. I loved it! When I turned 16, I got the 1984 Berlinetta Camaro. It was beyond cool. It was an auto show “super spiff” (as my Dad would say) model. So it had extra bells and whistles including the best sound system. That is where the speakers come into my memory. I would crank it up every time I could and I would SiNg!!! Windows were often down and my long blonde hair would be blown back. It was exhilarating. The freedom of a set of wheels at 16 is amazing. And I thought I was invincible. I was grounded when on a warm spring day (about a month after getting my license) I was pulled over by a policeman. I got my first ticket on highway 116. (I have only had 4 in 20 years… I think that is pretty good. About every 5 years or so) I even remember asking the very young, handsome officer if I would be getting a ticket. And he replied in a sweet country-style, “Well, yes. Yes ma’am you are.” I wanted to die! I remember the song on the radio that my sister and I had been belting out (Sweet Home Alabama) and everything about that moment froze in time. We didn’t sing anymore that day and the windows of went up. I was so worried about getting “it” when I got home that I was shaking. This was before the days of having a cell phone, so I had to drive home and figure out something. I was a kid that never got “it”, but I was smart enough to know that I was in for “it”. So much so that I bought a money order on the way home for the amount of the ticket and I even went to the small post office in Trimble and mailed my payment off! Little did I know that was probably the worst thing I could do for our insurance. I just wanted to hide the problem and end it all. I reacted way too fast and I should have stopped for direction from my parents. Do you ever jump too far when a little help could avert a disaster? It is SOOO hard not to react fast. I am trying to sit back, pray, and be still. NOT shoot off the hip as much. But oh the days of that 1984 Red Berlinetta Camaro and me…. utter bliss on a day like this. Grain of Salt… or a Salt Lick? How do you react to life, new information, or problems? Who stops to think about how they weigh out what percentage they believe in something that they learn, hear, witness or be part of? I waiver between taking “things” with a grain of salt to the extreme of taking “things” with a salt lick. Some history because I got curious… where does that saying come from? Wikipedia states that a grain of salt means to accept it but to maintain a degree of skeptism about its truth. And that it goes back to 77 AD. Food wasn’t always prepared to the USDA/USFDA standards… mainly because it was forever ago. So salt was added to help food be “safer”. 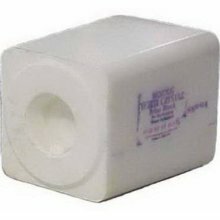 My only interation/memory of an actual salt block was grocery shopping in the little town of Smithville, MO. Weekly I would head to the store with my Mom and we would spend quality time at Big V. (V = Value) I can clearly remember the entire layout of that little store and the faces that would greet me in my cute long pigtails. (mainly Ms. Velma) I can even remember where we would place the green 7-Up bottles for deposit. We were “green” before green was something to strive for. But when I think of how I react to life, problems or news I clearly see the difference between a fine grain of salt which is insigificant and an entire Morton’s 50 lb salt block. I try to reframe things with a small grain of salt. Or at least a salt shaker so that I can be adaptable, flexible and not continuously disappointed. BUT those salt lick block moments happen. 50 lbs dropped out of no where and landing firmly on me with an incredible amount of power. We all have to chip away at the block to get back to a grain. This made me curious about the number of times salt is mentioned in the Bible. In the King James Version it is mentioned 40 times. Not an insignificant grain is it? Let your converstaions be always full of grace, seasoned with salt so that you may know how to answer everyone. Colossians 4:6 KJV. I promise that it has been almost 30 years since my last salt tasting in Big-V. 🙂 And that I don’t do it now at Hy-vee!! Do you now think I am a little crazy for hearing voices? Well if you know me you already would say that I am. 🙂 I am crazy for my God, my family and others in my life. But lately I’ve been taking a lot of time to think about this venue (i.e. blogging) It really is a personal journey of stretching and exposing what I really think and how I feel. It is not private though… it is “out there”. My goal is to be transparent and real. It is in my head! But not online. I have had that negative churning voice of self-doubt creep in. I WANT TO SHAKE IT! …who am I to write this way… no one else is doing this… are you sure you are in the right place to do this… what do people really think… and you guessed it … this is just the tip of the iceberg. Even last Sunday from the pulpit, my church youth pastor was preaching on the importance of listening. And he feels like social networking is a cry to be heard and understood. He even said that blogging is a cry for people to be heard. OUCH! It has taken 4 days and this isn’t a personal sting anymore but it did give supporting evidence to my “voices”. And it helped in the halt of me posting. It gave power to the “voices”, which was not needed. But then today on my “quiet day” (all 3 kids are in school), I was exceptionally grateful for God’s understanding and provision. So, I went to my ipod and the first song that came up was about voices in my head. NO Joke! And saying there’s nothing to believe. And who it is I’m gonna be . WOW!!!!! That was what I needed. Then I listened to this song cranked up sooooo loud and I was belting it out! That chorus in bold gets me… I am a child of His born of His own design. If I feel called to share and use this venue that I will be qualified to use it as it needs to be used. I am going to work on letting the voices fade away. I am going to keep on the path of being transparent and bold to encourage others to be as well. BUT I am a child of His own design and I won’t be stopped! WILL YOU?? I spoke to his teacher yesterday after school and she was glad I emailed her. Then as we talked I shared with her that we feel perserverance is a learned behavior and we don’t want to shelter our children completely from heartache, troubles or conflict. But when that is being pushed into a child being full of dread and anxiety about going to school then we need to help them more. His teacher was so kind and thankful for the ways we have tried to coach Ian and I thanked her for listening. She said she would talk to both boys seperately the next day (today) and then shake things out. I asked her if she wouldn’t mind considering talking with the boys together to help mediate the problem. I told her that the confrontation will be hard but talking seperately might create more backlash to my son. The boys and I discussed what was happening. I said that I had overheard the two of them talking and knew what was going on. During our talk at the back table, another boy overheard (waiting to ask me a question) and said he had the same problem as Ian. I think it helped Ian feel better talking about it. The three of them talked with my help, and I feel the issue is resolved. Please let me know if it isn’t! Thanks! Oh thank you so much! I think that was a great way to frame it! I am hopeful that it will be over soon. I am also glad that this could help the other classmate. Have a great weekend! Then when my son got home we talked one on one about it. (which is a huge feat in a house with 3 loud kids :)) But it was a great time to focus in and hear what happened from his viewpoint. He said he was relieved and so glad that he could talk it out with the teacher. And he said that the other boy valued his friendship over the conflict and he would stop how he was treating Ian. Ian was beaming. And he said he was glad he could help someone else out. We have had issues in the past and we will have issues again. But this is definitely a big step forward for Ian learning when to ask for help, how to resolve conflict, and get to resolution. So proud of him and so blessed to have a great teacher. Worry, Anxiety, Stress = Life? From time to time I go the dark, low, ugly place of worry, anxiety, and stress. Thankfully, I don’t live with it all the time but it does seep in. It reminds me of the dementors from Harry Potter. It just seeps in and takes over. Worry, anxiety and stress are a response of my brain when I start “what if-ing”. Do you suffer from spinning “what if’s”? It is awful and spiraling at times. You may not, but here is what can happen in less than a minute in my head. > what if it was too soon to talk to the teacher? > what if it was too late to talk to the teacher? > what if the teacher thinks we could have handled it differently? > what if the “talk”she mediates between the two boys is awful? > what if the things were bad before and now they will be worse? > what if the other boys gets mad and gets others to be mad at my son? > what if this changes my son? > what if I advise him incorrectly? Ok, see and that was just a minute. What if I typed faster? (yikes that was a true wonder not worry question) And now since I have listed those what if’s they are even harder to silence. So why share them on here and with you?? Well we all have these plaguing what if’s. You can’t deny it. I probably what if off and on all the time, but when I change-up the order of worry, anxiety, and stress, I see the word saw. Saw? Yep, saw! This word makes me think of God. Not following? Let me explain. God saw what has happened, he will see what will happen and he has already saw the outcome of it. Nothing I can guess will change the outcome. I need to see Him in the situation. See “saw” can be a helpful word. What a great little word to help get rid of the “ifs”. I know that God has a plan even during this issue at school and that it won’t be the last. I am not going to turn a blind’s eye to the issue but I am going to pray and put trust in God that he will provide me with the right words and encouragement for my son. This week I have had a stalker. Not in a scary way. (that is a story for another day) No, Psalm 139 won’t leave me alone and I know it is no coincidence. It was in my Sunday School class lesson, part of two devotionals I have read this week, an article from an old magazine I found, I heard part of it on the radio, it is part of Veggitales and today it was the additional reading to my Jesus Calling reading. I love all of Psalm 139, so I am glad it has weaved its way through my week. But to help me get past my human nature of what if’s I would like to share the last two verses. Maybe they will help you too. 23 -Search me, O God, and know my heart, test me and know my anxious thoughts. 24-See if there is any offensive ways in me and lead me in the way of everlasting. Try to break your what if-ing. It may just make you go crazy if we don’t. I know I don’t what if on positive events. Only the unknown and perceived negative ones. I need to trust more. Prayers for both you and I as we get past the what ifs!! As a mom I’ve never been ready for my children to be bullied. I know first hand that it is part of life. It spurs on perseverance and of course makes great stories for later in life. We all have those don’t we? If you are lacking let me know and I will share some of mine with you. I know I had a lion share of experiences from 6th grade on. I was an easy target. I was good. Squeaky clean to be exact. But now raising a pretty good and squeaky clean kid it is hard to watch from the parenting bleachers when he is confused, hurt and manipulated. But as I said yesterday, I pray. So as the stories continue to unfold I feel drawn to prayer. Drawn to needing guidance for the right words and timing. The situation isn’t life threatening. It is “light” threatening. My son shines with sweetness, chattiness and innocence. But hs has been manipulated for over a month and feels like he can’t change the recess pattern. It is heart breaking to watch him get all red and blotchy and hold back tears I know that are about to burst out of him. Truly heartbreaking. I am going to continue to lift him, his day and his bully in prayer. And I am going to continue giving him ideas on how to break the pattern of the demands. No 25 minute recess needs this harassment. Anyone else dealing with bullies right now???? I know I can’t be alone in this struggle. How many times do you start that prayer each day? How does it sound? How do you feel after? Do you pray at all? I have been thinking a alot about prayer lately. Especially during my 10 day blogging break. I will tell you that I am a prayerer. Is that a word? I have trained myself over the years to pray first. Before questioning, planning and freaking out. Now I will be completely honest with you, I don’t always succeed. But I do try. I mostly pray outloud. You probably could have guessed that about my bold approach to life. I need to say it out loud. I am a very verbal person. (since the womb if you ask my mom) Probably why I majored in Communication in college. I can talk. I can listen too! And I love to discern and think about things. But when I pray I just let it all hang out. It seems easier to just acknowledge the request, praise or concern out loud like I was even on the phone with God. I just dial him up without a phone in my hand. It used to be a struggle for me to pray. I thought there was a formula or that someone could pray better for something than I could. Now I have had so much practice in my house and van that it just comes. I think that is because I spend time with God on all things. Good, bad and the ugly. I also trust Him. I know I can’t figure out things as well as He can. And there is no way that I understand some things that happen. But I have faith He knows. He wants me to have a relationship with Him that brings me closer to what He has in store for me. Every once in a while I can be walking down the hallway by my daughter’s room and I hear her praying outloud. She doesn’t know I am near. She has learned she can talk to God when she needs to. Not just over a meal or at bedtimes. God is there for her no matter what she is doing, facing or thinking. I am so happy to pass on this habit to my kids. Even when they get all crazy I pray for them outloud. Often you can hear me in my house (especially over summer break) spout of, “I am praying for the peace of the Lord for all of you.” Yes they often stop what they are doing and I add and for me too. They laugh and tell me crazy thoughts about God laughing at us rough housing in our living room. It grounds us. It brings together the connection of our current lives with our heavenly father watching over us. I know that I am thankful for Facebook for helping me pray more. I truly do want to pray for others but it is sometimes hard to know what for. To see a post on Facebook gives me direction on how I can pray for a friend and I want to encourage them by letting them know they aren’t alone. I know that when I have had harder times in the past that were pre-Facebook, I felt supported by few because there wasn’t an outlet to connect us. Then when my Mom had breast cancer two years ago, Facebook and her Caring Bridge page kept me going. I was her PR Manager. I got to share with others, which then sparked an ongoing conversation with many people and it really helped me feel God’s presence during a storm. She will tell you it gave this Type A, Get ‘er Done kind of girl some control and purpose. And she is right. If I was in prayer and it was shared by the many that followed her site and her ongoing battle it was helpful in my own processing. If you aren’t praying because you think there is a “right way to do it”, please release that. God is already in your head and knows it all. Really ALL of it. Even the stuff (judgements, criticisms, failures, etc.) that you think you have hidden from everyone. He knows. Just speak. I once told a friend that praying should be like going to the faucet during the day. Really think about it how many times do you touch a faucet during the day. What if, really what if, every single time you touched your TAP that you prayed. Tapping into God starts out of deciding to spend more time with him. So next time you head to wash your hands, brush your teeth, wash a dish or prepare your food for a meal TAP into prayer. Off to pray over my mountain of laundry for my family. One last note… I used to HATE folding laundry! But now as I fold I spend time in prayer for each of my family members and I am thankful for our blessings. Give it a try. Makes it go faster too!